So we come to the reason that we're calling this Warcraft: Tides of Darkness and not Warcraft: Orcs & Humans 2 (besides the obvious inclusion of naval battle), the other races in the game! Let's start where thread discussion has already taken a turn: trolls! 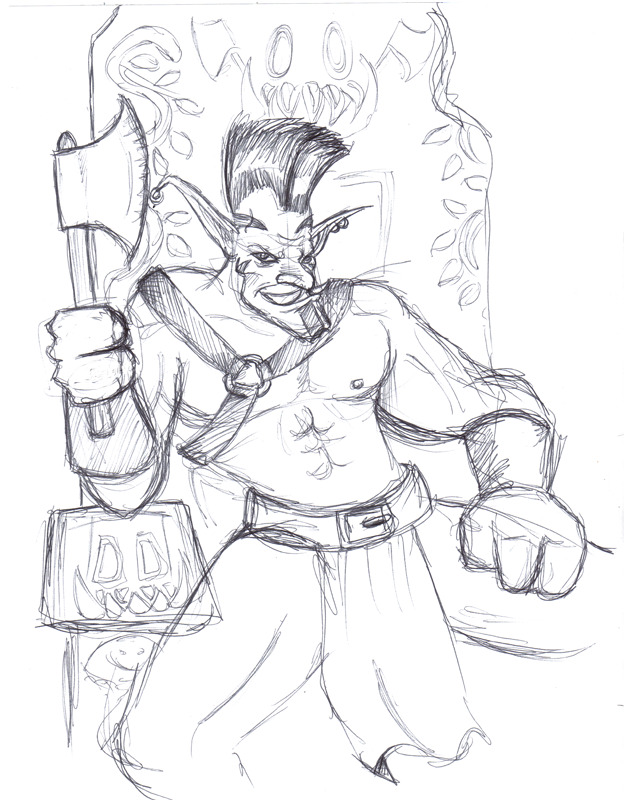 The trolls in Warcraft II are forest trolls, which means quite alot since there are a number of different troll races (forest, jungle, island, dark, ice, sandfury, steppe, and Zandalar). It's enough to make your own troll Pokemon team. Let's start at the beginning, where the trolls came from is somewhat shrouded in mystery. However, what is known is that they are existed long before the night elves began to walk upon Azeroth. To shift focus to the forest trolls in particular, the Amani tribe built a vast empire in the northen forests of (what we can essentially call) Lordaeron. And life was good. First you get da gold. 'Den you get power. 'Den they get da axe. Unfortunately, there were other races inhabiting Azeroth at this point. So while the trolls were building up, so too were the aqir, an ancient race of... bugs. They were incredibly intelligent and filled with a desire to rule the world. Nothing there spells out evil masterminds whatsoever. Of course the races came into conflict, and after thousands of years of war, the trolls came out on top. With their victory, a few trolls may have wandered into the magical nexus of amazing power known as the Well of Eternity (Y'know, that thing that has pretty much screwed over the whole planet of Azeroth by simply existing?) and are said to have been changed into night elves. Said night elves proceeded to blow the hell out of the Amani empire with magic that they have no idea how to use. This was around the same time that Sargeras noticed the power flowing out of the Well of Eternity and launched his attack upon the world. Being the smart bastards that they are, the trolls took no part in getting brutalized by a demon so they could help out the guys who just blew large, gaping holes in them. After the Sundering, the trolls went back to building their empire, once more in the northern forests, calling their land Zul'Aman. However, as they grew, they eventually met up with the high elves, who had created their empire upon the ancient remains of one of their previous cities. Pissed enough as they were at elves already, the trolls immediately declared a lifelong grudge against the elves. This lasted all of... until they got their asses blasted by magic. Several thousand years later, the trolls tried once more to uproot the elves from their land. This time, however, they beat back the elves and had begun to take significant stretches of land back. 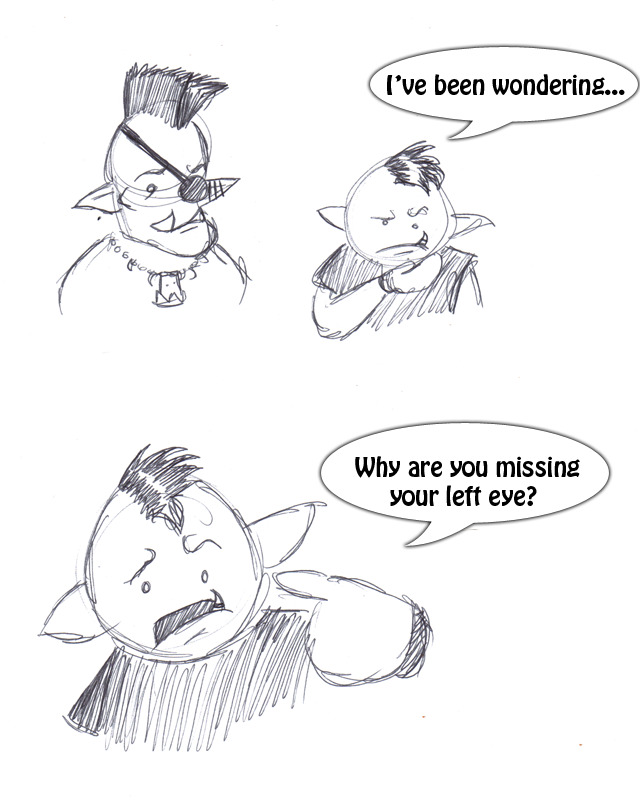 The elves, however used their amazing powers of bargaining to trade the humans for their assistance. Instead of trading anything mundane like cows or lumber, however, they decided to give the humans their destructive, nuke-like magic in exchange for an alliance. Then the trolls got their asses blasted with magic again. 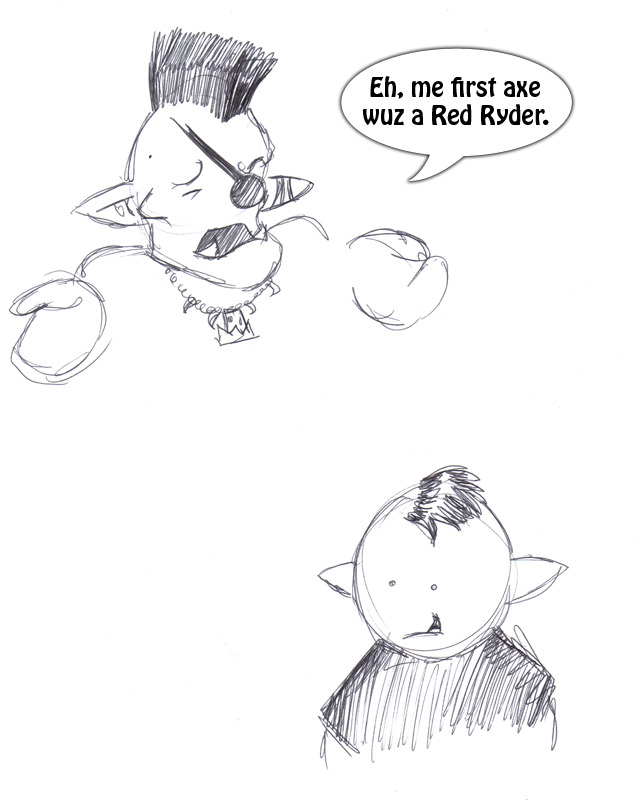 During the First War, however, the orcs saw their chance to get some aliies against the humans. Thinking that maybe the trolls would like some revenge, Doomhammer invited the trolls to join against the humans. However, the trolls declined, probably due to an intense fear of magic blasting. Even in the Second War, the trolls were hesitant to enter the battle, until they were told that the elves were in the fighting as well.